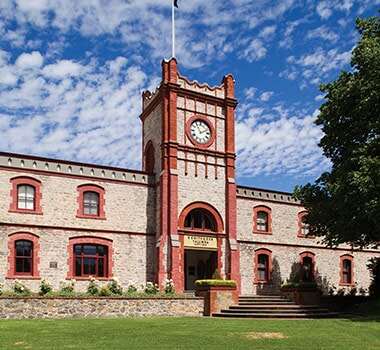 Established in 1849, Yalumba is Australia’s oldest family owned wine company. After more than 165 years, Yalumba remains fiercely independent and extremely progressive through exclusive ownership by the Hill-Smith family. 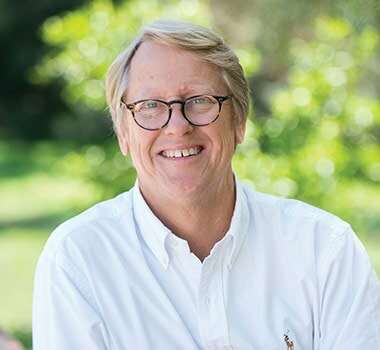 Led by fifth generation Robert Hill-Smith, teamwork is vital and decisions are the result of patience, consensus and innovation. There is foresight to micro-manage individual vineyards, a will to preserve the very old vines of the Barossa, and the knowledge to behave as a leader in their industry. With its own on-site cooperage, operational since the turn of the 20th century, Yalumba has the advantage of being able to have full control over the quality of oak used to age its premium wines. With success intrinsically linked to the land, Yalumba is acutely aware of how its presence impacts the environment. Looking to the future, Yalumba has created a sustainable business in which responsible environmental practice is integrated into everyday activities. Robert Hill Smith and his family are planning to be even more committed for the next 160+ years. Which of your wines best represents Yalumba? No wine better signifies the importance of Yalumba’s people than Yalumba The Signature Cabernet Sauvignon & Shiraz, a sentimental favourite that seeks to reward both those who inspire and those who imbibe. Since 1962, this quintessentially Australian blend of Cabernet Sauvignon & Shiraz has recognised 54 individual signatories for their hard work, inspiration, dedication and that most old fashioned of virtues – loyalty. For more than 30 years fifth generation Proprietor Robert Hill-Smith has chosen the person to be awarded this honour, announcing the much anticipated name at the annual Christmas party. Within the bottle, The Signature is the embodiment of the Great Australian Red, featuring exceptional Barossa Cabernet Sauvignon and Shiraz. Why is sustainability important to Yalumba? Once an employee has reached 21 years of service at Yalumba they become a VSOP - a Very Special Old Person. To date, Yalumba has recognised more than 180 VSOP's & there are still more than 100 VSOP's currently working at Yalumba.